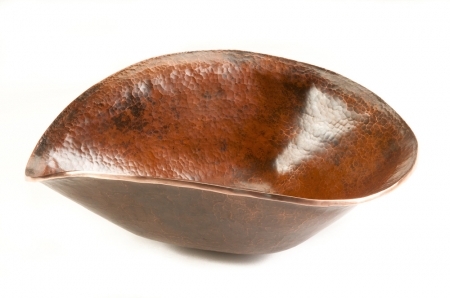 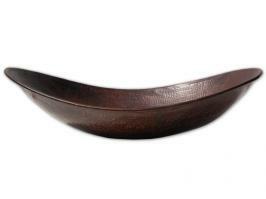 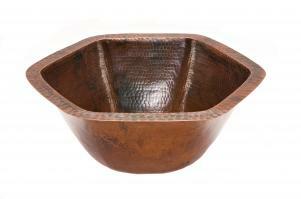 Dimensions: 17" x 15" x 6"
This free formed copper vessel sink will bring a unique look to any bathroom. 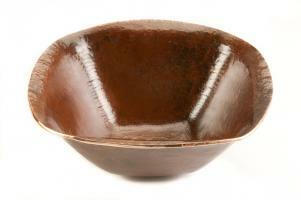 Great for industrialist or craft decors. 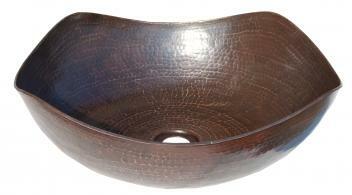 Sink comes ready to install, but fixtures are not included.